Single-sensor approaches to multimodal biometric authentication targeting the human hand in multiple-matcher scenarios provide higher security in terms of accuracy and resistance to biometric system attacks than unimodal systems. 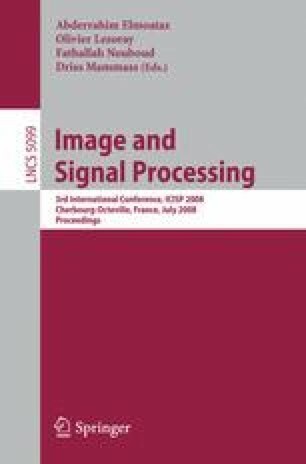 This paper introduces a novel multimodal hand biometric system using palmar images acquired by a commercially available flatbed scanner. Hence, the presented approach to personal recognition is independent of specific biometric sensors, such as fingerprint readers or palmprint scanners. Experimental results with a minimum half total error rate of 0.003% using a database of 443 hand images will illustrate the performance improvement when hand-geometry, fingerprint and palmprint-based features are combined.